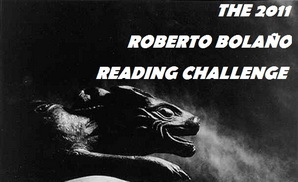 It seems that for the last year I have been unwittingly participating in the 2011 Roberto Bolaño Reading Challenge. Participants in the reading challenge, which started in January, have the fairly straightforward goal of reading a bunch of Bolaño's books, in any format or language, throughout the year. The participants are also assigned "levels" according to their accomplishments. In my case, for example, since I've read 6 books so far I would be considered a "Poet", which places me above a "Vagabond" (5 books) but below a "Detective" (7 books). There are also levels for rereading books and for reading books published in 2011 (two were published in recent months, two more are expected in November). 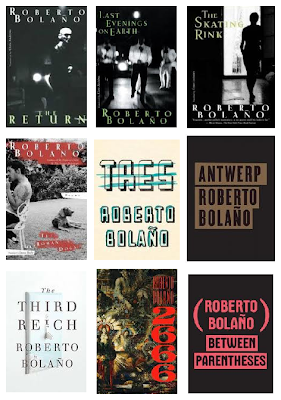 To place matters in perspective, Bolaño is hardly the first writer whose entire oeuvre was placed on my reading list. Kafka, Beckett, Camus, Borges, Pinter, Coetzee, and Nabokov were all there ahead of him. Frisch and Hemingway are also nudging me, "come on," I can hear them say, "you've already read so much of our work, just two or three more books and you'll be able to say you've read it all!" (though I'm not sure I can forgive Hemingway for the terrible triumvirate of To Have and Have Not, Across the River and Into the Trees, and The Torrents of Spring). Bolaño is probably not even my most-read writer of the year (well, maybe in terms of word count, but certainly not in number of works read); that distinction goes to Israeli playwright Hanoch Levin (16 plays read this year, along with some prose, poetry, sketches...), which I have been reading a lot of in the last couple of weeks as I was finishing up my own play (my first!). 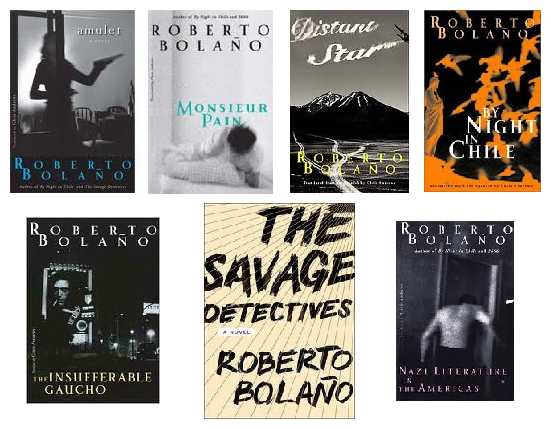 The Savage Detectives was my first encounter with Bolaño, it was a real discovery and remains my favorite. I've enjoyed all the others as well, some more (Distant Star), some less (Monsieur Pain), but I have to admit that in spite of all the breathless praise that's been piled upon him for the last few years, I don't consider him to be a literary genius, nor an heir to Borges. The excesses, surreal touches, and unflinching portraits of darkness, along with his outsider status, his intimate knowledge and profound love of literature, and his mashing together of literary and popular culture all work together to create the image of the romantic vagabond author. Thus, it's quite tempting to declare him the first international literary genius of the 21st century, a literary Che Guevara, perhaps, simultaneously an underdog and a bestseller as only a mostly posthumously published writer can be. In the end, however, it's never really up to me; there will always be someone like Beckett saying, "Wait a minute, you still haven't read my letters!" or Faulkner teasing, "Only two novels? I've so much more to offer!" or even an indignant Andre Breton giving me harsh looks from the bookstore shelf since I've never read any of his works.